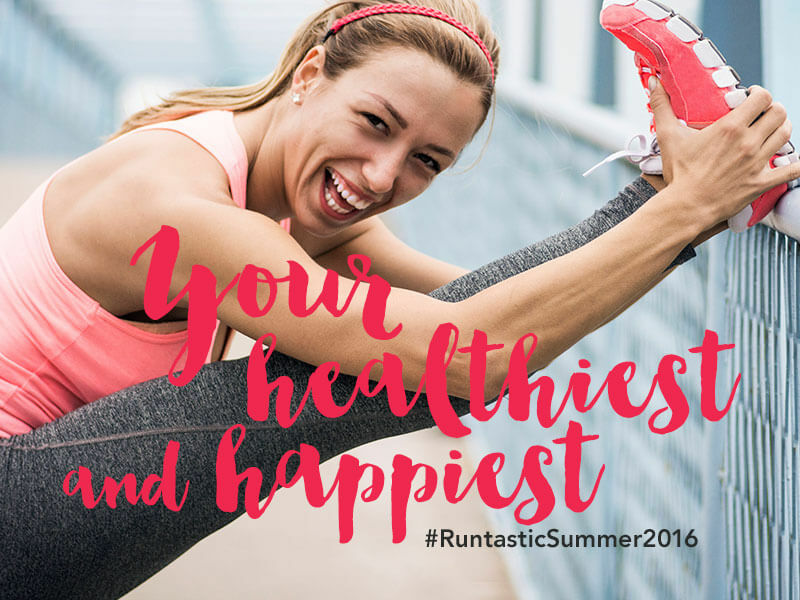 In the third instalment of our #RuntasticSummer2016, we will show you five easy ways to do your body some good after a run or bodyweight training – with food that you probably already have in your pantry. 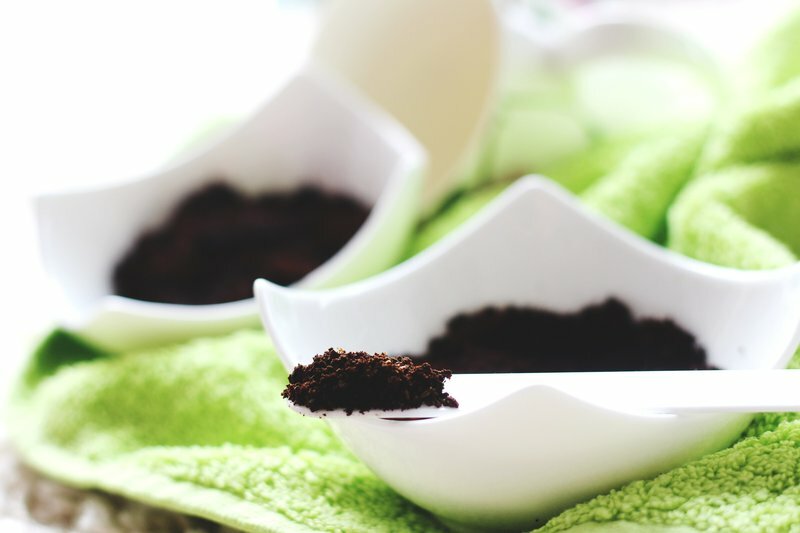 A few spoonfuls of coffee grounds are enough to smooth your skin. 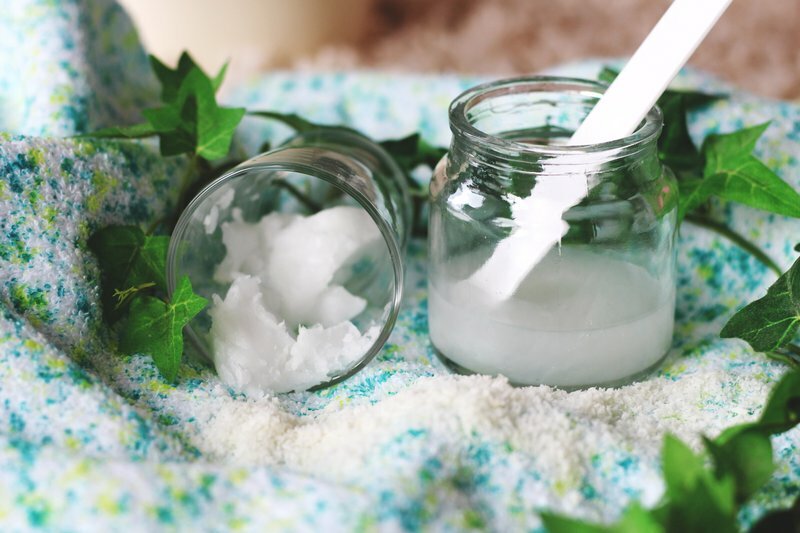 A scrub or peeling removes dead skin cells and supports cell renewal and regeneration. Plus, the caffeine stimulates your blood circulation – for smooth skin without cellulite! Ideally, you should do a peeling before sunbathing so you get a nice even tan all over. Carefully apply the scrub over your entire body using a circular motion and gently massage it into your skin. Then rinse the coffee grounds off with lukewarm water. You can also enhance the look and the effect of the coffee scrub with a little honey or olive oil – guaranteed to make your skin extra soft and smooth! Do you struggle with split ends and lackluster, straw-like hair in summer? Sun, wind and water are frequently the cause. Coconut oil is the solution to your problem. 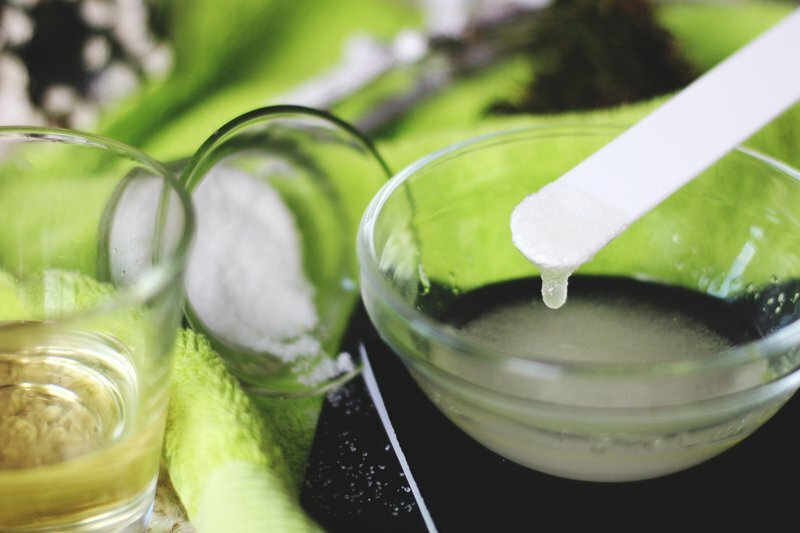 The following hair mask cares for damaged hair and restores its shine – so try it out! Spread some solid coconut oil in your hands. Run your hands through the length of your hair and massage the coconut oil in thoroughly, especially in the ends. But be careful to avoid the roots – otherwise your hair will feel greasy! The best thing is to cover your hair with a towel and let the hair mask sit for about an hour. Then wash the mask out thoroughly with shampoo. You will see – your hair will be much easier to comb through afterwards without tangling. 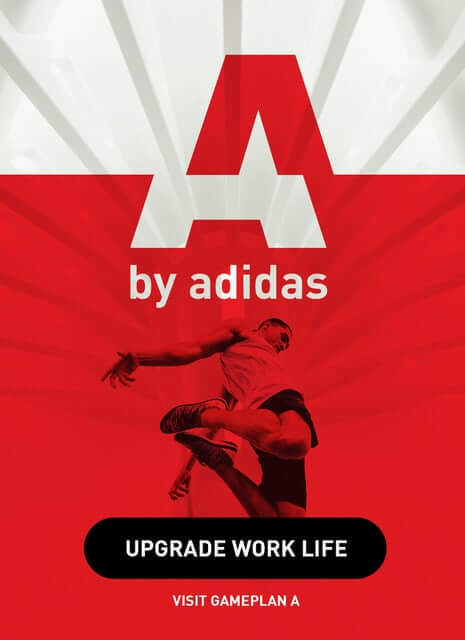 Working in the garden, washing the dishes, lifting weights – wow, you need your hands for a whole lot of things! Therefore, it is important to pamper your hands regularly to avoid developing dry and cracked skin. A scrub or peeling with subsequent care is just the right thing. The sugar removes excess skin cells and the olive oil contained in the scrub provides ample nourishment. Mix the olive oil with the sugar in a small bowl. Apply the scrub to your hands and massage it in gently. Rinse the oil-sugar mixture off with lukewarm water and rub your hands with a nourishing hand cream. If you’ve read our post Straight from the Avocado’s Mouth, you already know about the many benefits of this fruit. The green wonder food makes you beautiful on the inside and out. 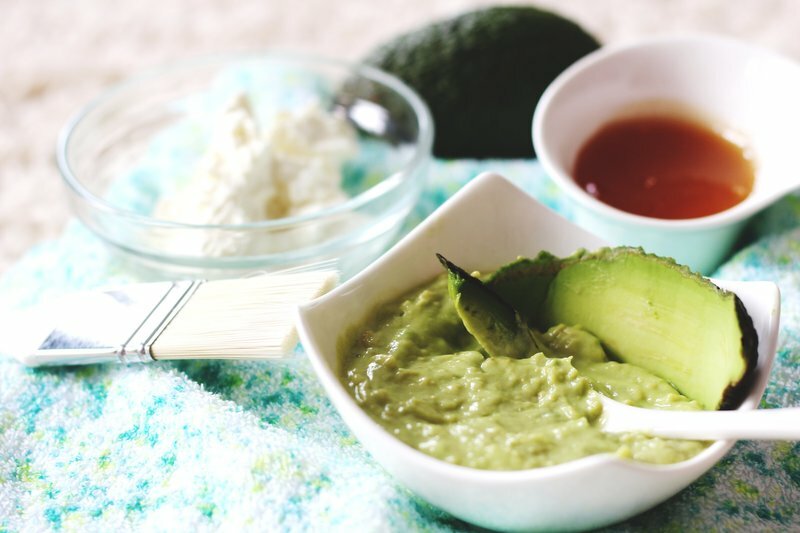 Therefore, a face mask made of this superfood is perfect for restoring moisture to dry skin. The Greek yogurt and honey also help soothe your facial skin. Mash the avocado with a fork or in a mixer. Combine with honey and Greek yogurt and spread the mask all over your face. For the best effect, leave the face mask on for 10-15 minutes. Then rinse it off with lukewarm water. It’s easier than you think to get amazing hair. This vinegar rinse is a natural shine booster for your hair. 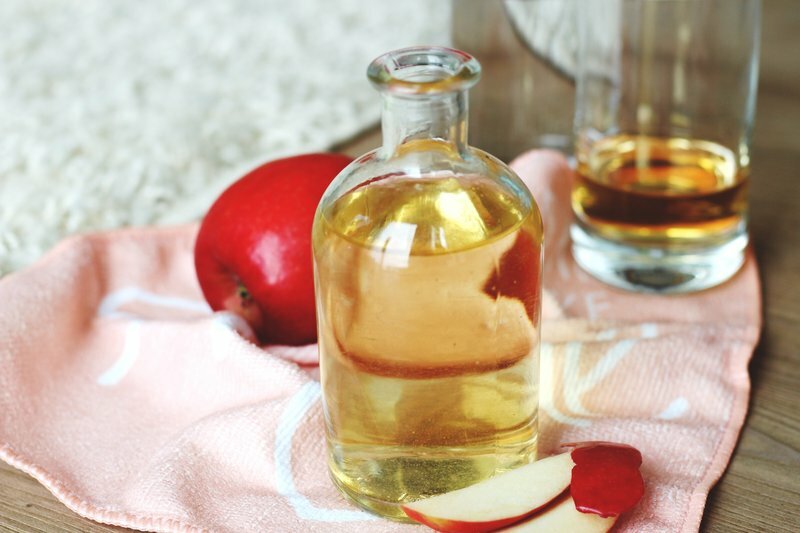 The acid in the apple vinegar causes your hair’s cuticle layers to close and lie flat, resulting in shinier hair. Plus, the vinegar adds extra moisture. Mix the vinegar and water. After shampooing your hair, pour the rinse over your hair. 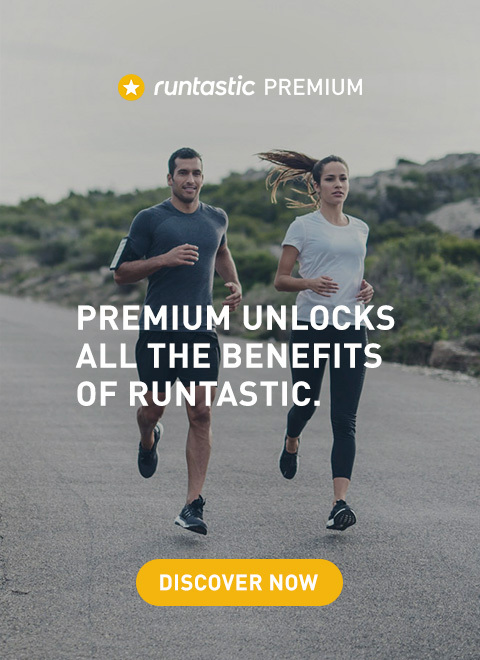 The key thing is not to rinse it out! Once your hair dries, it will no longer smell of vinegar 😉 If you have blond hair, you can also add some lemon juice: Lemon juice bleaches your hair and makes it a shade lighter. Do you want to share your beauty secrets with us? What beauty foods do you swear by? We are always looking for new ideas and inspiration! 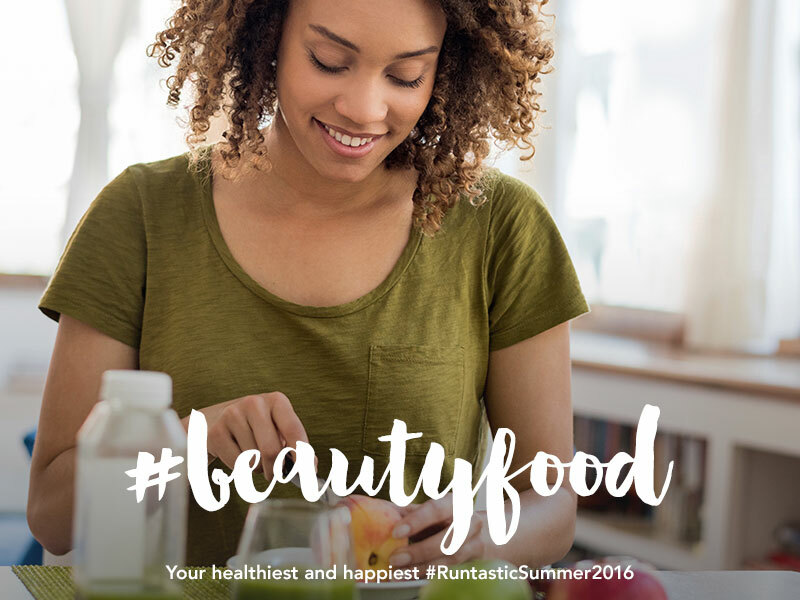 Tell us what inspires you on Instagram, Twitter and Facebook with the hashtags #RuntasticSummer2016 and #beautyfood. 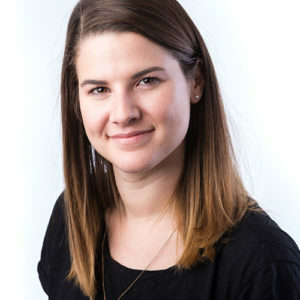 Next week, Editor Tina will give you 10 tips on how to get more girl power!